An evening of awards, memories, music and food will celebrate a fantastic summer of success for the participants, who have spent three weeks of physically and mentally enduring challenges, along with a 30-hour voluntary community social action project. Doncaster Rovers stars will be in attendance to celebrate, along with guests that include RT Hon Dame Rosie Winterton MP, Mayor Ros Jones, Vice Chairman DRFC Andy Watson and CEO of DRFC, Gavin Baldwin. 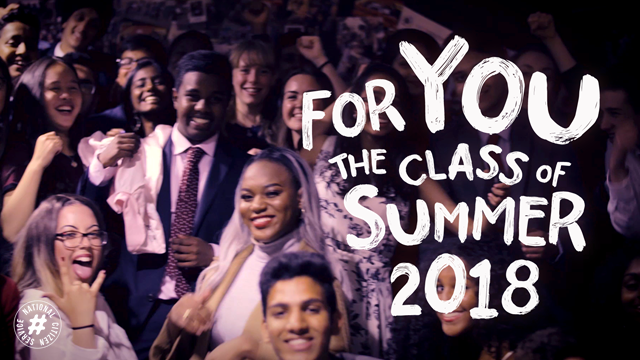 NCS programme manager, Jan Budtz said: "This has been our biggest summer to date, so I can't wait to celebarte the hard work of all the staff and of course young people, who have made it a summer to remember. "The social action projects have stood out for me this year, 667 young people have between them delivered 21,780 hours of community work and managed to raise £12,473 for local charities, which is incredible. A lot of the 47 social action projects will be showcased on the night, and it will be a real chance to celebrate a phenominal summer." The NCS programme allows young people to escape their comfort zones, embarking on an adrenaline filled adventure in the Lake District. During the first week of the programme, they try their hand at activities such as rock climbing, kayaking, hiking and archery. They then return home to two more phases of delivery, a week of workshops learning essential life skills delivered by the likes of the Dame Kelly Holmes Trust before they spend a week impacting their community with a social action project organised by themselves. NCS is open to all 15-17 year olds in the region and Club Doncaster Foundation will begin recruiting in November for the next adventure, taking place in summer 2019. To find out more information about NCS, visit the website on www.clubdoncasterfoundation.co.uk/ncs or phone the friendly team on 01302 764663.